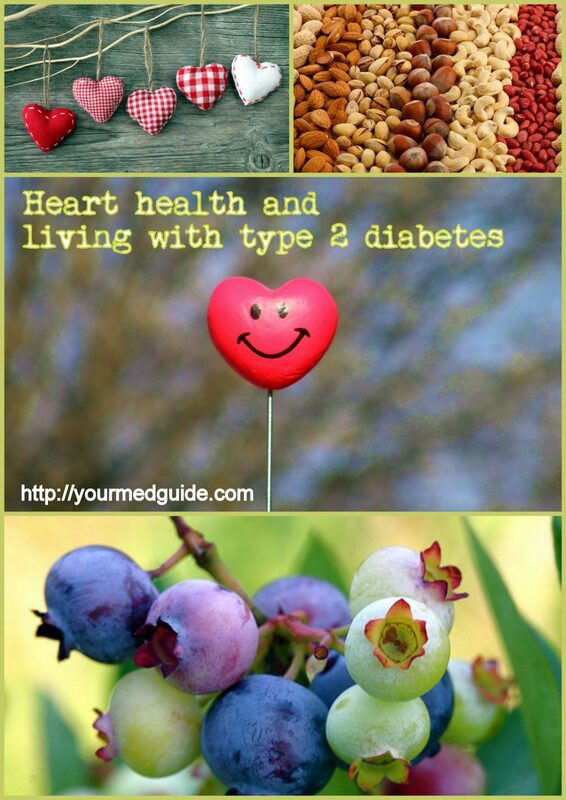 Heart health and diabetes are closely connected and heart disease is one of the most common complications of diabetes. As a diabetic, my risk for heart attack or stroke is doubled. Yes. The first step is to keep track of the ABCs of living with type 2 diabetes – my A1c, blood pressure and cholesterol levels – and make sure they’re in control. Next comes making healthy lifestyle choices that will help me stay on track and this involves adopting a diet that supports my heart health and diabetes. What I eat will make all the difference to my ABCs. Let’s focus on a heart healthy diet today. Most people with diabetes try and follow some sort of a diet where the goal is to control carbohydrate consumption and practice portion control to keep blood sugar stable. A heart-healthy diet goes beyond carb counting; it also means ensuring that you make healthy choices from all the food groups. Include healthy unsaturated fats at least three times a week. Examples are avocados, nuts, seeds, plant based oils like canola, olives. Olive oil is rich in mono-saturated fats, which is healthy. Follow a diet high in fruits, vegetables and whole grains that are high in essential nutrients and fiber. While snacking, skip the chips and cookies. Instead, pack a handful of nuts, rich in heart-healthy fats. I am vegetarian, but the dietician has this tip for non-vegetarians: Rather than shop chicken wings, chicken thighs or legs, buy chicken breasts as they are the leanest part of the chicken – low in cholesterol and saturated fat. It is believed that a few meatless meals each week is good for the heart. Substitute meat with beans, tofu, veggies and lentils. Switch from white bread to 100% whole grain bread. For dessert, opt for a fruit rather than processed food. As I said earlier, heart health for diabetics begins with managing your ABC levels, maintaining a healthy weight, exercising every day and eating healthy. And – taking your medication on time and as prescribed. • Manage your weight to reduce the risk of heart disease. Since diabetics are twice as likely to suffer from a stroke or a heart attack, making lifestyle changes that can prevent this is worth it. Protect yourself. In the end it’s all about managing what you eat, isn’t it? When I buy butter and margarine, I buy brands that have an endorsement from the Heart and Stroke Foundation here in South Africa. They have a much lower fat content. We also try our best to stay away from packaged foods. I know many manufacturers do state the fat content of what they are serving, for us it’s so much easier to just use fresh food. It’s difficult to change your mindset at the beginning, but in my experience you get used to the new way of eating, even start prefering it. I knew we were winning the food battle when my nephew started coming home for lunch (from work)because he said he’s rather eat what we serve at home than take away.Before we started our food plan, I wouldn’t have believed that any one of us could feel like that. 🙂 Damaria, I absolutely agree with you! The day I was diagnosed with diabetes, I changed my lifestyle overnight. We’re rice-eaters, and my folks were stunned to see me manage without rice and wheat – I lived on whole grains, veggies and salads. I quite liked eating like that – I did it for 40 days and got my blood sugar back to normal from 300+ in two consecutive tests. This motivated me to continue doing what I did to keep it up, because now,it is a lifelong effort. My medication dosage has been reduced. For us, too, eating fresh is the easiest option. And you know what? I think we are all eating better! 🙂 I appreciate you for dropping by. Hugs! Great advice, Vidya! I like that Avocados are part of any healthy diet – I love them! I had problems with cholesterol and was able to drop it by 40 points with diet alone following the same tips you’ve outlined in your article. My doctor was thrilled! Congratulations on this fine website! I’m sure it will make a difference in the lives of many people. I am blessed with very good health for which I work hard. Your heart healthy diet is of greatest interest to me now as I’m always eager to add to my knowledge. That’s what I do now. Focusing on fresh, natural foods.